A school library is important for any school, whether it be at the elementary, primary or tertiary level. A well-equipped library enables students to have access to a wide range of books or read more broadly on their subjects and conduct independent research. The Tabubil Futures Study shows that many schools in the area have no library facilities at all, especially at the elementary level. Those schools that do have library facilities the stock of book is often small, out-dated and not always appropriate for the children attending the schools. This picture shows a Primary Schools’ Library collection. These are the only books for the whole school, which is typical for many schools. Library Resources is one of the components of the TCSSP. Under this component Library Resources will be provided to the TCSSP schools. The first lot of Library books have already arrived in Tabubil. 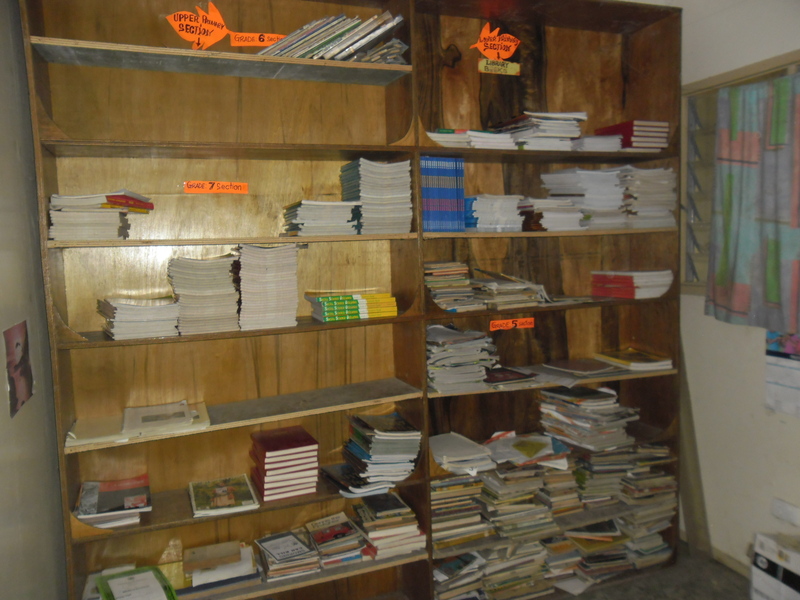 Beginning 2013, the Mausgras Pacific Trading, an Australian company that supplies second hand items, was contacted to purchase second hand library books for the TCSSP schools. In the following months, arrangements were made for a 20ft container containing 23 pallets of second hand library books. 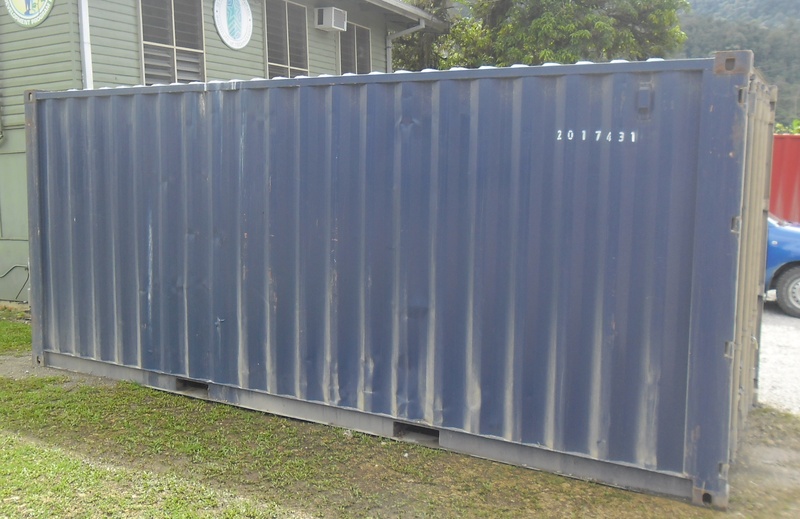 The container was shipped to Port Moresby from Brisbane and then made its way up to Kiunga via Hub Shipping. After a few days of arriving in Kiunga the container was finally delivered to Tabubil on the 31st of July 2013. 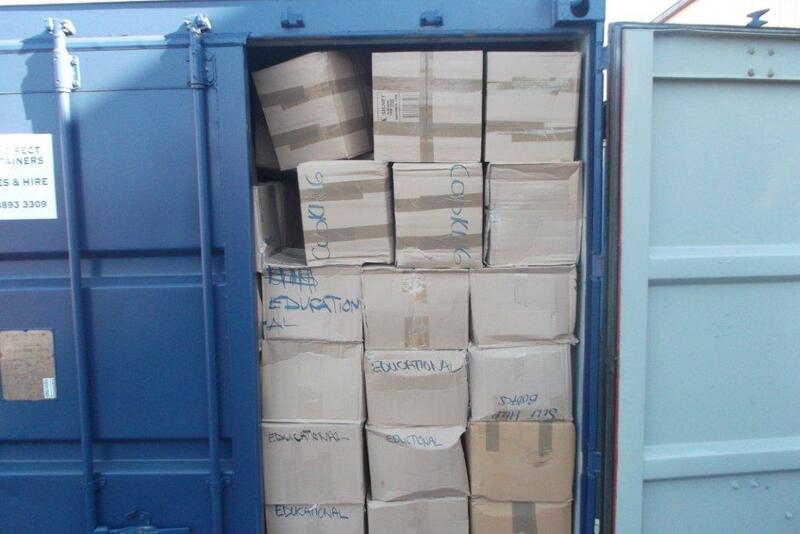 The books are currently still in the container. They will be sorted out based on a Distribution Plan and given out to the schools. This entry was posted in TCSSP News and Views. Bookmark the permalink.